Do you need a new fence installed on your property in White Plains, NY? Then reach out to Red Fox Fence at (845) 254-0330. We are the leading local White Plains, NY fence company, and install every type of fencing and driveway entry gates that you may need. Since we started in 2006, we have handled the varied fencing needs for the residents of White Plains, NY and surrounding towns. For example, we have completed beautiful fence installations in Battle Hill, Colonial Corners, Ferris Avenue, Carhart, and Eastview, NY. With every project, we strive to install high-quality fences that have a unique design. We always use superior materials to guarantee you a reliable fence that will last for many years. As a result, we have grown to become a trusted source for top quality fence installations in White Plains, New York. Do you need a new fence, or is your driveway entry gate not up to the posh standards of your neighborhood? Red Fox Fence can help you rectify that situation. Our professionals work with you to ensure every need and requirement discussed is met with your new fencing installation. At Red Fox Fence, we will handle all types of fences such as swimming pool fences to deer fences, new arbors & trellises to pergolas, and everything in-between. We strive to push the bounds of creativity with all our projects and pay attention to detail with every design to produce a result that you are proud of. With our experience and skill set, you can have a new fence installed around your property very quickly. Our services would help your landscape stand out as we provide different ornamental pergolas and fences for homes throughout White Plains. Perhaps you are unsure of what fence to have installed for your property. Not to worry; our design team will walk you through the many options available and help explain each in detail. Additionally, we will help you customize your fence to ensure it blends with the present architectural design found on your property. 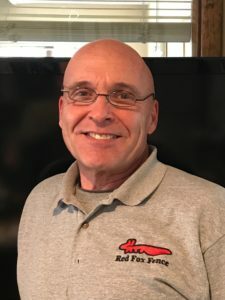 Red Fox Fence is a full-service fencing company. We can handle all types of fencing installation projects and help you make improvements on your present fence too. Some contractors out there are quite shoddy you know. If you have had a problem with a previous fence installation, we can help right the wrong. By partnering with Red Fox Fence, your fence will remain in top shape and your property will have added security. We would love to start a conversation and offer you a complimentary estimate. Whatever fencing need you have, please call us at (845) 254-0330 and we will get to work for you and deliver excellent results right away. BusinessWeek Magazine included White Plains, New York in its list of America’s fastest-growing cities in 2010. The city is a great choice to live, play and work in for many reasons. Moreover, White Plains, NY is a premier business location for enterprises, both big and small. With an estimated 60,000 residents, the city sparks to life every weekday and the populations grow to some 250,000 people as people commute from their homes to come to work here. These numbers make businesses flourish. A walk around White Plains streets will reveal various activities that you can enjoy. So, what exactly makes White Plains, NY a great destination? The City’s History George Washington and his troops took cover in the city’s hills in September and October 1776 during the great Battle of White Plains. This battle was mainly fought on Chatterton Hill, located just west of the present day downtown area. After extensive battles over the two months, British forces would finally retreat and leave White Hills to the continentals. By early 20th century, the town had grown into a prominent suburban metropolis. The downtown area rose to become one of the first principal shopping districts in a suburban area. Some of these large-scale stores were the first to be built in America. Accordingly, White Hills, New York grew to become USA’s premier retail destination. The Sights and Sounds As an affluent suburb, the city is a favorite tourist spot for patrons across the country and beyond. For lovers of the arts, the city’s “White Plains Performing Arts Center” would be perfect for you. It is home to various events including the famous Broadway Theatre. Worry not though, our nature lovers are well catered for too. White Plains is home to Silver Lake Preserve, Saxon Woods Park, and the Ebersole Ice Rink. These venues will offer you everything from, beautiful nature trails, refreshing picnic spots, and miniature and standard golf courses. As the premier shopping destination in America, White Plains also has spots venues that would offer you the ultimate retail therapy. The Westchester Mall and AMC Cineplex are just some of the venues to visit when seeking some shopping delight. There is the Westchester College, Fordham University, Pace University plus Berkeley and Mercy College in White Plains. With so many options to choose from, you can choose the college best fits your studies. White Plains, NY is indeed a favorite spot for many residents. The many benefits the city offers make it perfect whether you’re looking to set up a business, buy a house or just do some touring.